Nou Enle were featured this week on Tom Robinson's Fresh on the net BBC Introducing Mixtape show. Our single COLD DARK SEA is released on the 8th of July! To mark this event, we have produced a music video which you will be able to see on our website or on YouTube. We hope you enjoy the video. Please subscribe and give us the thumbs up if you do . 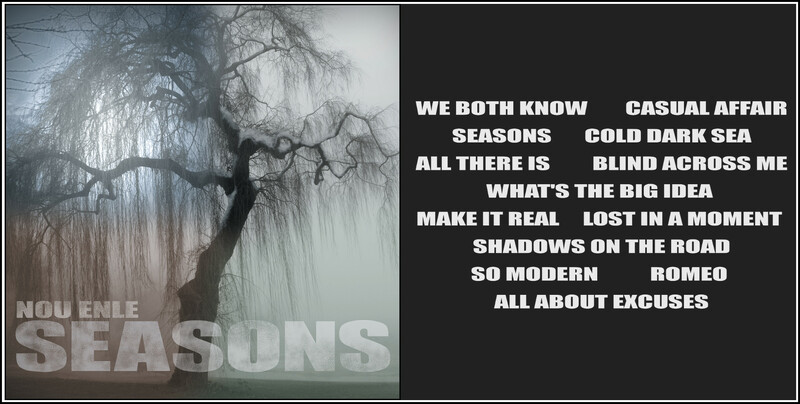 A reminder that our debut album, Seasons, is available for download! You can buy it at any of the following links, or come to a gig and buy a CD of the album instead!